Meijer: FREE Xbox One or PS4 game! 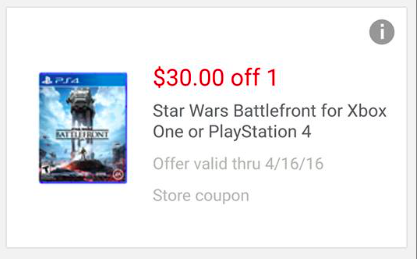 This week for the Thursday market, until 4/13, Star Wars Battlefront for Xbox One or Playstation 4 is $29.99 and there is a $30 off 1 mPerks coupon! 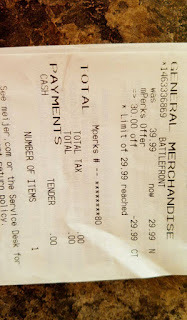 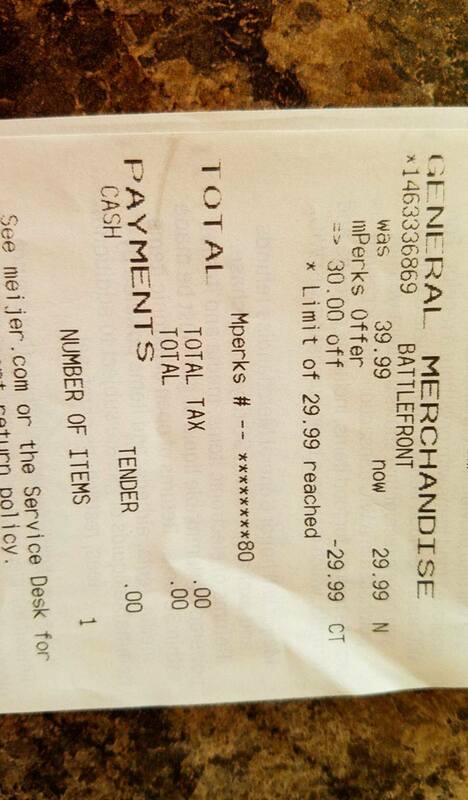 Thank you to LeAnna Cross on the head's up, above is her receipt!